Ferrostaal Australia is a division of an international company that imports, sells and services quality products to the Australian print industry. Our comprehensive product portfolio is built on the foundation of quality and service. We only select and offer industry-leading products that will best integrate into new and existing systems. We have the experience and reach of locally based sales and services teams to provide end-to-end solutions, technical service and support, customised workflow design and implementation to ensure your business runs more efficiently. We also provide a support network backed by factory trained expert staff specialising in all aspects of print production. 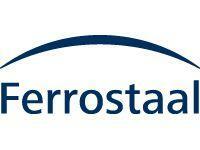 Ferrostaal is a global provider of industrial services in 60 countries. For more than 35 years, Ferrostaal Australia has provided a broad range of quality products and services to the graphic arts industry in Australia.